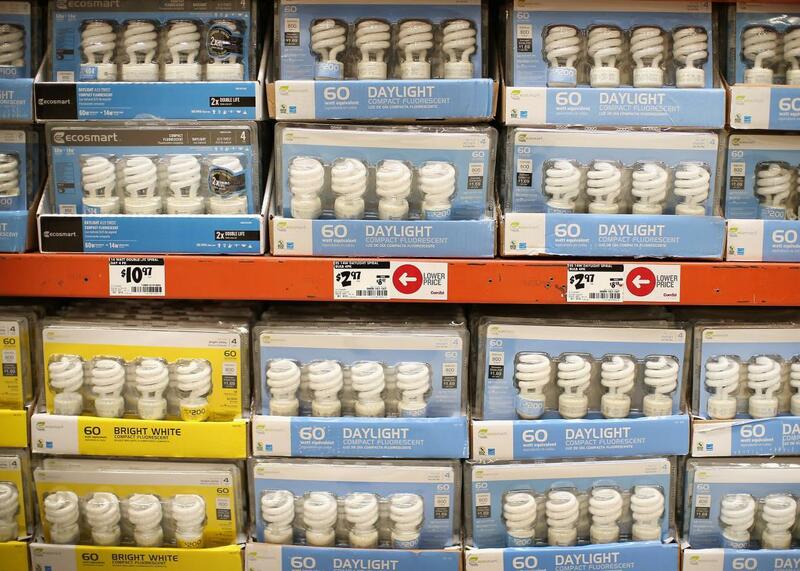 GE will phase out CFL light bulbs in favor of LED. Compact florescent light bulbs at a Home Depot on Dec. 27, 2013, in Chicago. In 2008, Brendan Koerner wrote on Slate, “I’m constantly being told that the simplest way to improve my green cred is to start using compact fluorescent lights.” Back then it was true. CFLs were the first mainstream, energy efficient alternative to incandescent light bulbs, but they were known for giving off harsh, unattractive light. Today CFLs have peaked and begun to decline because of competition from light-emitting diode alternatives. LED bulbs give off a warmer light, have fallen in price to rival CFLs, and are even more energy efficient. And now the decline of CFLs in the United States is receiving a full-blown nail in the coffin: On Monday, GE announced that it will cease to manufacture CFLs by the end of 2016. GE also noted that come 2017, it will be more difficult for CFLs to receive Energy Star ratings from the Environmental Protection Agency. Instead of letting the technology die slowly, the company is taking a hard line. In 2014, Seth Stevenson tested out and reviewed LED bulbs for Slate. At the time he wrote, “Yes, they’re pricier, but LEDs are vastly superior to CFLs in every other way.” Now that GE says a 60-watt-equivalent LED bulb is $3.33 at Sam’s Club, you can see why the company is ready to go all-in.